Siding with the state of Texas, the 5th U.S. Circuit Court of Appeals ruled on Thursday that there isn’t enough evidence that the state's new abortion regulations create an undue burden on the majority of Texas women attempting to access abortion. The 5th Circuit Court of Appeals on Thursday upheld the new abortion regulations that were passed in July by the Republican-led Texas Legislature. The plaintiffs, who represent the majority of abortion providers in Texas, including four Planned Parenthood affiliates, Whole Woman’s Health and other independent abortion providers, challenged the constitutionality of two requirements that the state implemented Nov. 1: that physicians obtain hospital admitting privileges within 30 miles of an abortion facility, and that they follow the U.S. Food and Drug Administration’s protocol for drug-induced abortions, rather than a common, evidence-based protocol. In a unanimous opinion by a three-judge panel, the court sided with the state, which argued that the rules should be deemed constitutional by the federal court because the state's objective was to protect women's health, and that there isn’t enough evidence to suggest that the rules create an undue burden on the majority of Texas women attempting to access abortion. The author of the opinion, Justice Edith Jones, wrote that the state's "articulation of rational legislative objectives, which was backed by evidence placed before the state legislature, easily supplied a connection between the admitting-privileges rule and the desirable protection of abortion patients’ health." Jones also authored the 2012 opinion affirming Texas' abortion sonogram law. The other justices, Jennifer Elrod and Catharina Haynes, served on another three-judge panel that reversed a lower court's injunction on the law in October, which allowed the rules to take effect. Meanwhile, an attorney for the Center for Reproductive Rights, who argued on behalf of the majority of abortion providers in the state, asserted that the new rules are unconstitutional because some abortion facilities can no longer perform the procedure and women in South Texas, the Panhandle and other areas of the state are being forced to travel long distances to seek abortions. Cecile Richards, president of Planned Parenthood Federation of America, said in a statement that the group would continue to fight the law. "We will combat these laws in the courts, and our separate political arm will mobilize voters to replace lawmakers who champion these dangerous laws in the first place," she said. If this case continues through the court system, the plaintiffs would need to appeal to the U.S. Supreme Court. In November, the Supreme Court justices rejected an earlier request by abortion providers to intervene in their lawsuit by reversing the 5th Circuit's decision to lift an injunction on the rules by a lower court. Additional rules that require all abortions to be performed in ambulatory surgical centers starting in September and that ban abortions at 20 weeks of gestation remain unchallenged. Since November, abortion facilities in South Texas, Beaumont and the Panhandle have closed as a result of the new abortion regulations. In August, before the rules took effect, there were 40 licensed abortion providers in Texas. Now there are 28 licensed abortion providers, only 24 of which still perform the procedure. When additional rules take effect in September that require abortion clinics to meet the same standards as ambulatory surgical centers, the number of abortion facilities will probably drop to six. 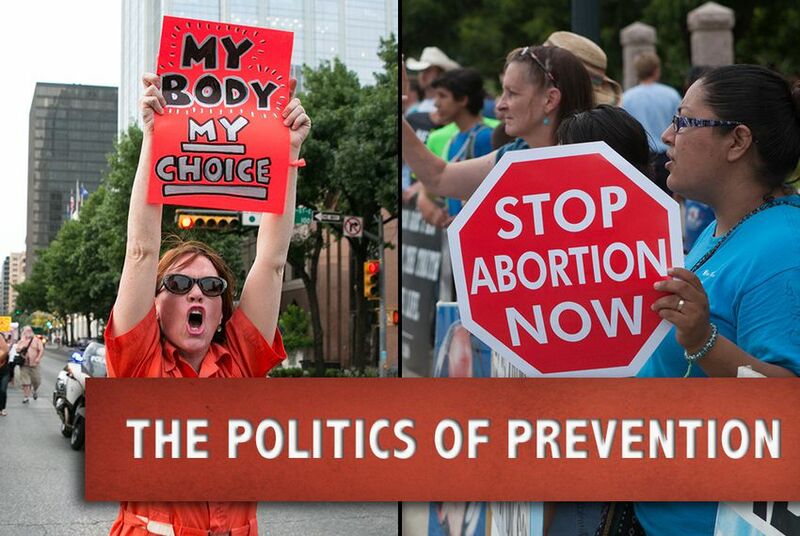 "Texas women deserve better than to have extremist politicians endanger their health and safety by preventing them from accessing safe and legal abortion," Brigitte Amiri, a senior staff attorney at the ACLU Reproductive Freedom Project, said in a statement. "The law is having a devastating impact on women in Texas." Editor's Note: An earlier version of this story incorrectly stated that Justice Edith Jones is the current chief justice on the 5th Circuit. She was the chief justice until 2012.